Food Allergy Awareness Week is designed to inform and educate families, schools, businesses, restaurants and our community about food allergies, safety and training. As a mother of a child with severe peanut and tree nut allergy, I know the importance of reading every label and researching & calling a food manufacturer if there is no “may contain” statement. This statement is not mandatory in the US, so if it does not say “may contain” on the label, the food item could still have a danger of cross contamination. I ask every restaurant about what is in the food and cross contamination dangers in the kitchen for every meal. I show friends, family and caregivers how to use epinephrine in case of a food allergy reaction and leave it with them every time. The only prevention is total avoidance of the allergen and there is no room for error when it comes to protecting those that we love. Many families do not carry epinephrine even though their family members have known food and/or insect allergies. 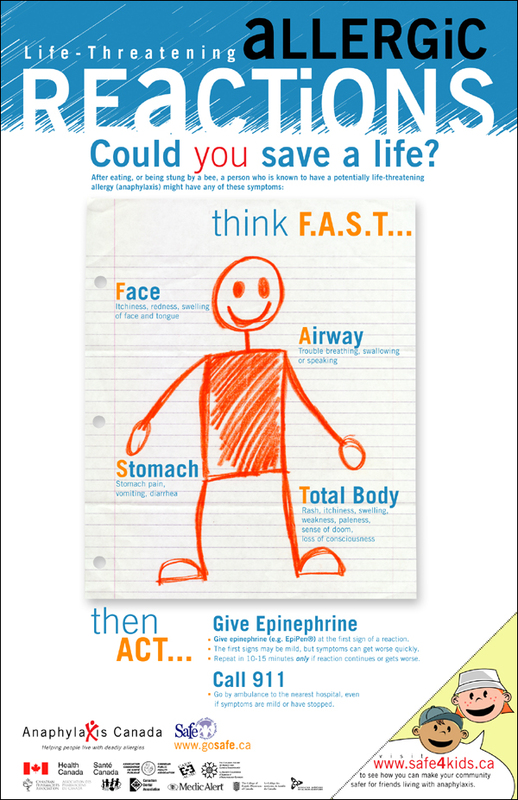 Many people do not know that they need to carry two epinephrine pens in case of a reaction that lasts longer than the time it takes to get to an ER at the hospital. Here are some valuable resources from FAACT. West Chester, OH – The Food Allergy & Anaphylaxis Connection Team (FAACT) encourages citizens across the nation to get involved with Food Allergy Awareness Week, May 11- 17. Simply learning a few “FAACTs” about food allergies and sharing them with family, friends, and caregivers could save a life. Food allergies affect as many as 15 million Americans, including almost 6 million children. Food allergies can be life threatening – and are on the rise. The prevalence of food allergies appears to be increasing among children under the age of 18. A May 2013 report from the Centers for Disease Control and Prevention estimated that “between 1997 and 1999, food allergies affected about 3.4 percent of American children. By 2009 to 2011, that number rose to 5.1 percent – an increase of 50 percent in just over a decade.” That is two students in every classroom across America – and there is no cure for food allergies. The only way to prevent an allergic reaction is to avoid trigger foods. 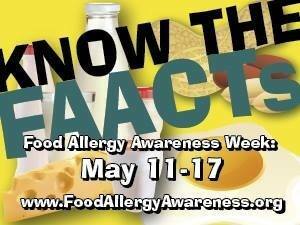 In addition, a food allergy Education Resource Center for schools and families is available on the FAACT Web site. FAACT’s mission is to educate, advocate, and raise awareness for all individuals and families affected by food allergies and life-threatening anaphylaxis. FAACT is also your voice for food allergy awareness, from keeping children safe at school to dealing with workplace issues or simply taking the family out for a bite to eat. Managing a food allergy on a daily basis involves constant vigilance. FAACT is here to support you in managing your food allergies – today, tomorrow, and into the future. For more information, please visit us at www.FoodAllergyAwareness.org or call (513) 342-1293, and follow us on Facebook, Twitter, LinkedIn, and YouTube. FAACT is able to consult on news stories and provide medical experts, spokespersons, and subjects while supplying up-to-date information on food allergies and anaphylaxis for your future media needs. 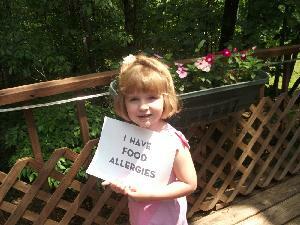 Food Allergy News for September 2012. Now that back to school is in full swing, I am thankful that my daughter’s school worked with me to create an allergy action plan to keep her safe. As a food allergy parent, I find that opportunities to educate and advocate about food allergies come daily (and are very much needed). And I am proud of my five year old daughter for the advocate she has become to protect her health and well-being. One of the ways to educate is to stay on top of industry news. Here is a roundup of the latest food allergy news. 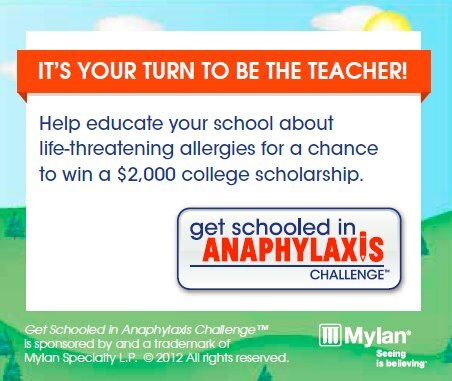 From Kids with Food Allergies – Mylan Specialty L.P. has partnered with, Julie Bowen, star of ABC’s hit show, “Modern Family,” as well as a mom in real life to a young son with life-threatening allergies, to launch a new educational initiative, Get Schooled in Anaphylaxis. The Get Schooled in Anaphylaxis Challenge™ is a competition for students (grades 1-12) to write an essay describing an original idea to help make schools more aware of and better prepared for anaphylaxis, a life-threatening allergic reaction. Fifteen students will win a $2,000 scholarship. 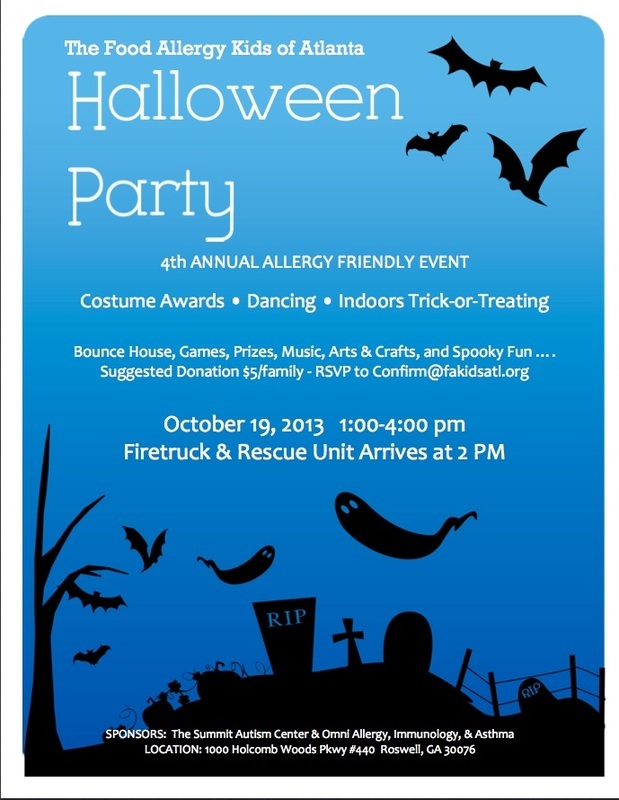 More info is available at http://www.Anaphylaxis101.com/. 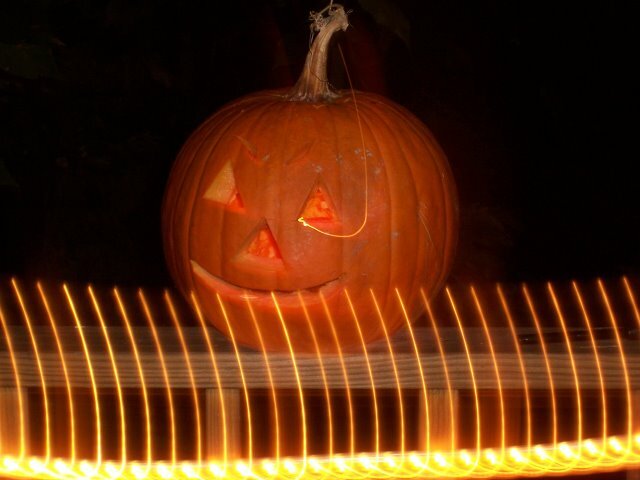 Deadline for entries is Friday, Nov. 9, 2012. For Atlanta food allergy families, Food Allergy Kids of Atlanta announced its 3rd Annual Allergy Friendly Halloween at Pirates Cove Adventure Golf in Duluth, GA! Saturday, October 20, 10AM – 12PM! For more information and to RSVP, visit the website. My favorite resource is Snack Safely for safe snacks. They announced an update for its list. Remember to always, always read the label and if you are not sure, call the manufacturer or avoid the item altogether. The FAAN Walk for Food Allergy is lined up – ours is coming up in October. Get involved and raise money for this important cause! Is Your School Allergy Ready? Is your school allergy ready? States are in the process of passing epipen bills to stock schools with epipens in case of food allergy or allergy attack. In fact, 25% of allergic reactions happen at school for the first time. In Georgia, you can schedule a Food Allergy Kids of Atlanta Safe@School presentation, or share the following online resources to help your school prepare for 2012 – Allergy Ready & Allergy Home both offer online courses for school staff. Image from Canada Safety Council. Our family is planning our annual trip to Walt Disney World in September. We are also excited to be going on the Disney Dream for a 3 night cruise to the Bahamas as part of the trip. While I am looking forward to it, I am also a little anxious as my youngest daughter has food allergies. We have been to WDW before and they are very accommodating. We also have a kitchen and cook many meals in to stay safe and save money. 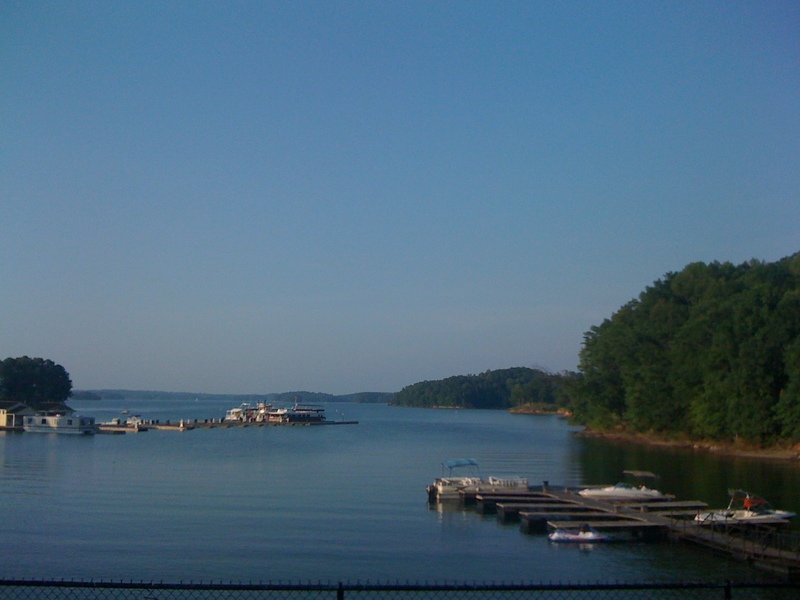 My worry lies in part two of our trip – the cruise. In advance preparations, I called the Disney Cruise Line and told them of my daughter’s allergies. They noted our record and said there would be a meeting on the first day of the ship with the chef and the dining team. That made me feel a little better. I am still anxious until I speak with the actual Dream cruise staff. I know that we will have the same staff each night for meals and that we will discuss our meals in full detail each time. I have since been talking to other families with food allergies to find out how their best cruise travel advice with food allergies. I posted a message on the Allergic Living forums and received wonderful advice from Jennifer. I am linking directly to the post as it is detailed and informative. Allergy Mouse has also been in touch with her and they posted her experience on their blog. I will be sure to blog about my experience after our trip as well. Please share if you also have any travel tips for those with food allergies!